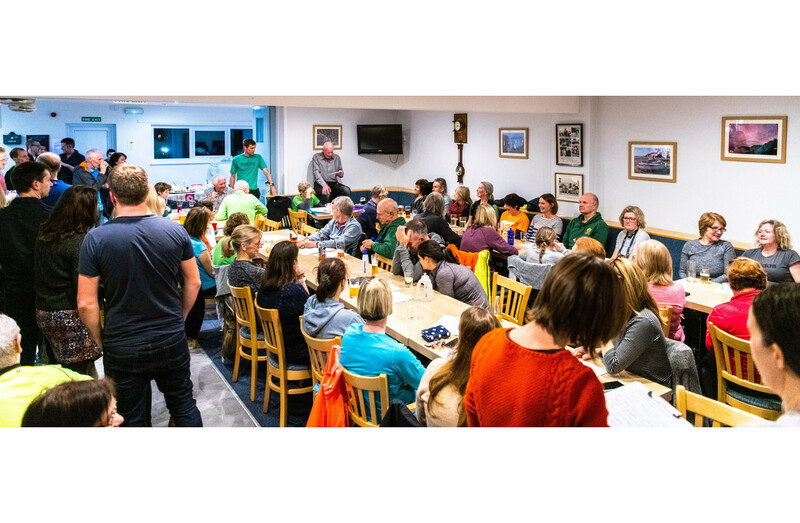 SRC Carol Singing Party Run. 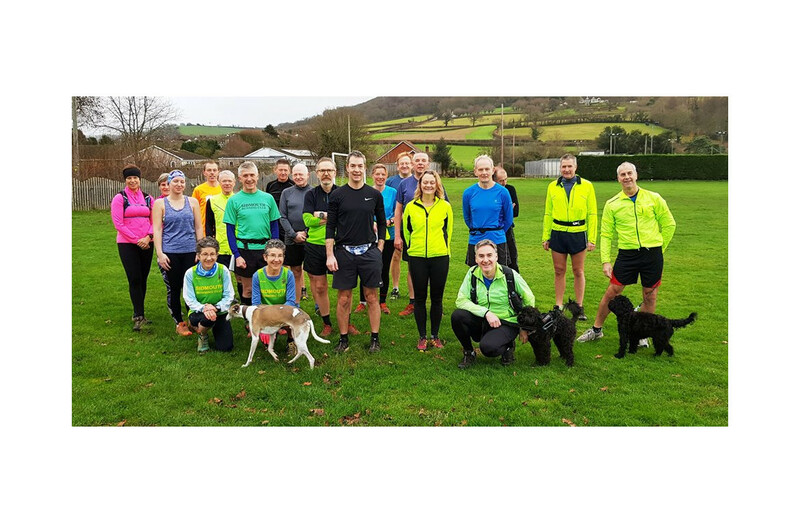 On Wednesday the 19th of December for the weekly club evening meet up, there were two running groups, one did a more serious six mile route and the other took a more leisurely three and a bit mile with a carol singing tour around the town. We called on some ex-members and friends of the club giving our best rendition of Oh Come All Ye Faithful and Silent Night. There were more songs sung at various points and as we ran past the Fields Department Store, a couple out for a walk received a perfected version of Jingle Bells. Then lastly onto The Kingswood And Deboran Hotel on the seafront where we Wished A Merry Christmas to the town council as they were waiting for the Christmas Pudding to be served. We think they enjoyed our efforts as there was plenty of applause after. 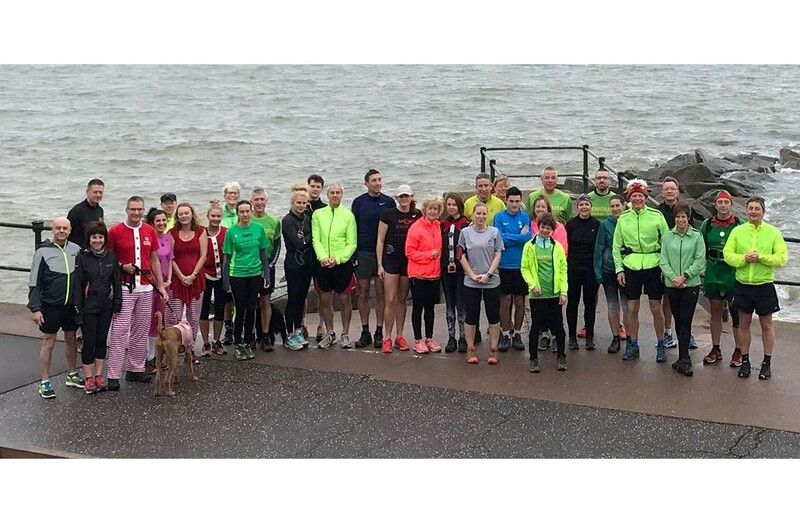 A quick jog back to Port Royal for our Christmas get together with food, drinks, a quiz and raffle. 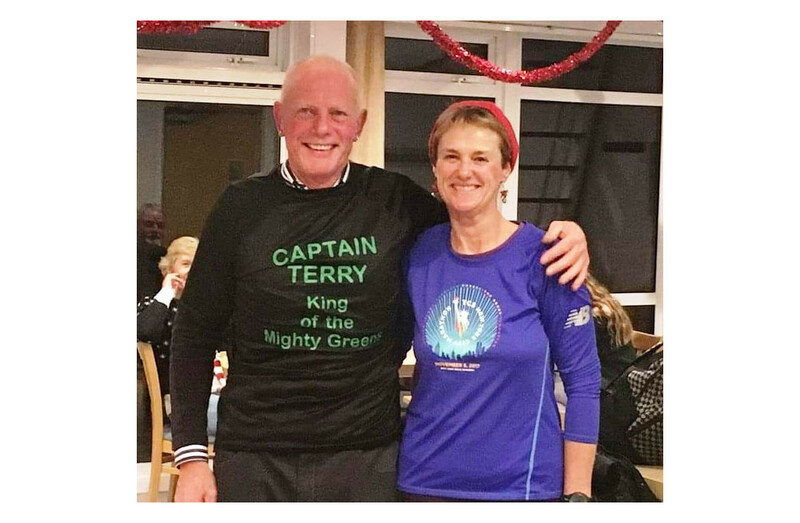 After the raffle Jo Earlam presented on behalf of the club, for all the hard work done by Chairman Terry Bewes, a tee-shirt with Captain Terry, King of the Mighty Greens emblazoned upon it.